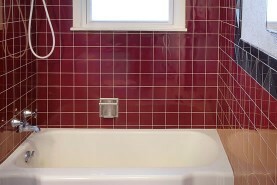 Ceramic tile is a very versatile material that comes in many shapes and colors. Tile is both durable and attractive. As a result, tile has been used extensively in baths and kitchens. 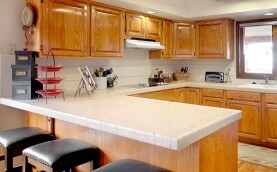 Almost any tile used on any surface can be refinished. 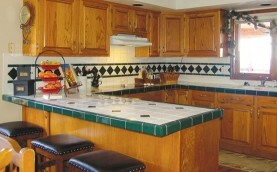 Every day we refinish tile vanities, kitchen countertops, tile walls, and tile bathroom floors. 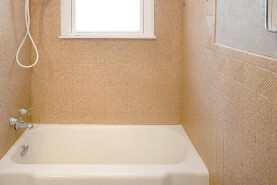 Even tile surfaces that are regularly exposed to water and moisture can be successfully refinished….surfaces like tile showers, tile shower pans, and tile walls surrounding bathtubs. 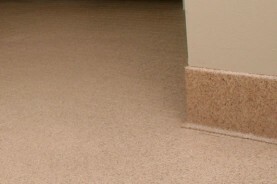 Professional refinishing can change the color of ceramic tile and make it look and feel like new. Tile wall and shower refinishing!